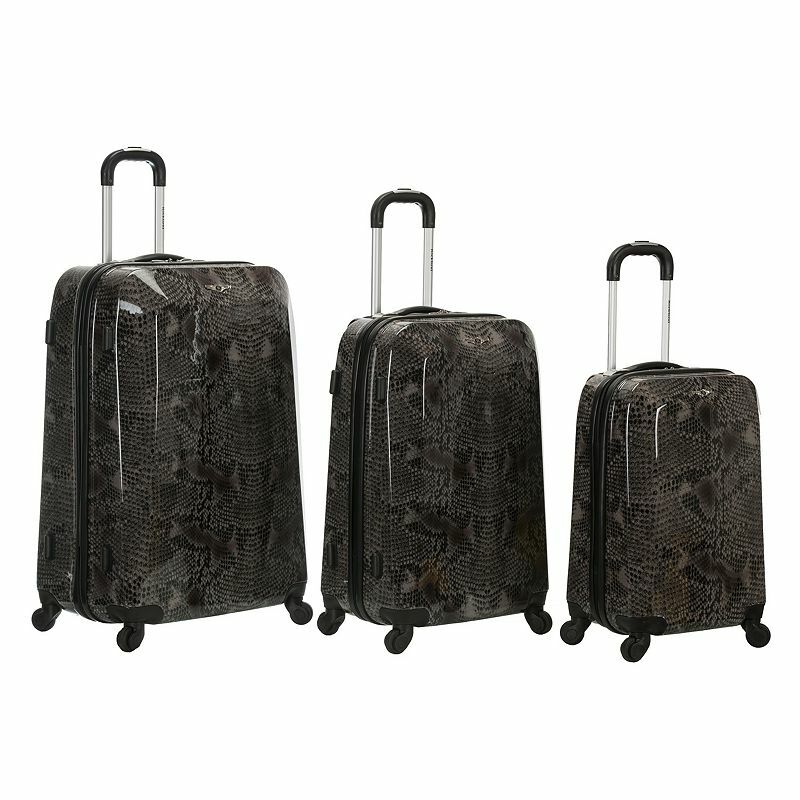 This Rockland luggage set features a durable and fun design in Snake animal print that’s sure to last for years to come. Spacious interior holds all your belongings. Lining helps keep your clothes wrinkle-free. Various pockets and pouches create organization. Multidirectional spinner wheels offer a smooth ride. Top and side carry handles add convenience.